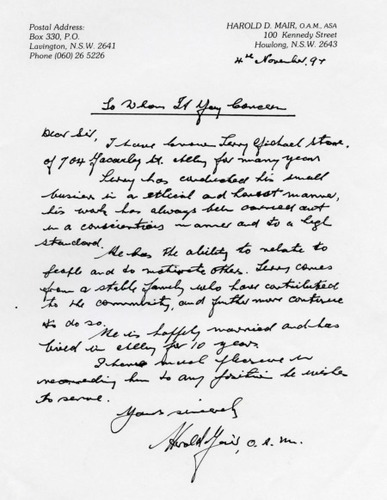 Letter of reference concerning Terry Michael Stone written by the former Mayor of Albury and Labor Member in the NSW Parliament Mr Harold MaIr OAM. Can you help us by providing additional information about this item? Copyright © Shane L. Stone 2014. Website by Russell Brown.